I recently attended a panel entitled “Women in Surgery,” where medical students had the opportunity to ask female surgery residents how they navigate what is still a mostly male-dominated field and hear their take on that ever-elusive “work life balance.” Two out of three women on the panel said they had frozen their eggs, adding that half of their female co-residents had done the same. The third was pregnant. As women make up more and more of the physician workforce, and as non-traditional paths to medical school become more commonplace, it’s becoming more evident that women in their training years are also in their prime reproductive years. And residency programs need to recognize that. Whether female medical trainees should have children during medical training or wait until after is a constant source of debate. There are definite benefits to having children during residency: there are other trainees who can cover your shift, and taking maternity leave doesn’t necessarily mean losing a large chunk of your patient population to a colleague or another practice, as it might for an attending physician or a physician in private practice. Furthermore, doctors in training may be at a physical and social advantage when it comes to starting a family: women in their late 30s and 40s may find raising children more draining than they would have at 25, and on top of that, their careers may be more demanding and they may have aging parents to care for as well. But while it may make logical sense to have children when you are younger and still in training, this thinking assumes that women are ready to have children, and that they have a stable partner and a good support system in place. I can speak from experience when I say that endless hours in the library or at the hospital don’t make for great opportunities to meet a husband. In addition, fast paced and regimented schedules in medical school mean that students can’t take even a month off without failing behind and having to restart again the next year, and, just as in any profession, taking time off during training means not being present to make a good impression and climb the corporate ladder. Medicine is similar to many professions in that it is not yet built for working mothers, however it differs in its more structured (and thus less flexible) path. And even those who are ready to start a family during residency face high stress levels and little sleep, which can’t make for the most hospitable body in which to grow a child. And it doesn’t end after pregnancy: training equates to unpredictable schedules that make childcare difficult at best. Whether medical training is the right time to have children may not be concrete, but the evidence is clear that delaying having children until after training is not wise either: after the age of 35, women face increased risks of infertility, and pregnancy complications, and a higher risk of having a child with Down syndrome. Oocyte cryopreservation, or “egg freezing” in layman’s terms, has become an option in recent years. 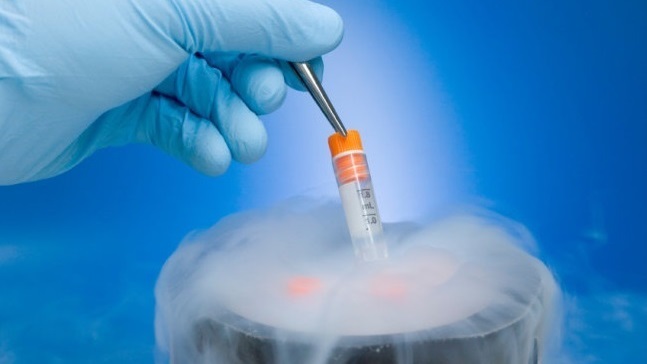 The New England Journal of Medicine includes “preservation of fertility to delay pregnancy for personal reasons” in their list of reasons to consider cryopreservation of oocytes. However, this comes with a hefty price tag. A typical round of egg freezing costs about $10,000 for the procedure and roughly $500 a year for storage. The procedure is currently not covered by most health insurance plans, and while someone making an average salary may be able to consider fronting this cost out of pocket, it is most likely out of the question for a medical trainee with thousands of dollars in student loans and making on average $55,400 a year. Ideally, egg freezing will be a part of routine healthcare coverage in the future, but at the current price that is not a realistic solution. Until routine coverage is the norm, hospitals should follow the lead of tech companies and the military and offer egg freezing to their trainees. In 2014, Apple’s workforce was 70% male and Facebook’s was 69% male. In an effort to correct this imbalance and recruit more women to their staff, Facebook announced in 2014 that they would offer $20,000 for their employees to freeze their eggs. Apple followed suit, offering a similar amount. Apple said they wanted to “empower women at Apple to do the best work of their lives as they care for loved ones and raise their families.” The U.S. Military provides a similar benefit with the aim of encouraging more women to not only join the military, but also stay throughout their 20s and 30s, a time when many leave after giving birth. Defense Secretary Ashton B. Carter has stated that he hopes that this policy will allow the military to compete with top companies who provide the work-life balance that millennials prioritize more than previous generations. Hospitals can borrow this logic and address these same concerns by offering egg freezing to their female trainees. In 2013, the physician workforce was 68% male, roughly the same as Apple and Facebook. Providing compensation for freezing their eggs would be a huge draw for many women in their reproductive years. More women may decide to pursue medicine in the first place and become primary care physicians, which are so desperately needed across the country. Other women may be more inclined to enter specialties that are not seen in the past as family-friendly. The Association of American Medical Colleges (AAMC) 2015 Report on Residents found that women make up 75 percent of pediatrics and 85 percent of obstetrics/gynecology residents, while males make up 60 percent of surgery residents. Offering egg freezing is essential for equality and may help even out some of these discrepancies in the profession. It’s true that unlike companies like Facebook and Apple that pay for their employees to freeze their eggs, residency programs don’t have that kind of cash. However, unlike Facebook and Apple, hospitals own the facilities and pay the physicians doing the procedure so they wouldn’t face the full cost. Hospitals could subsidize the procedure and/or use the opportunity to train current OB/GYN and surgical residents in the procedure, killing two birds with one stone. 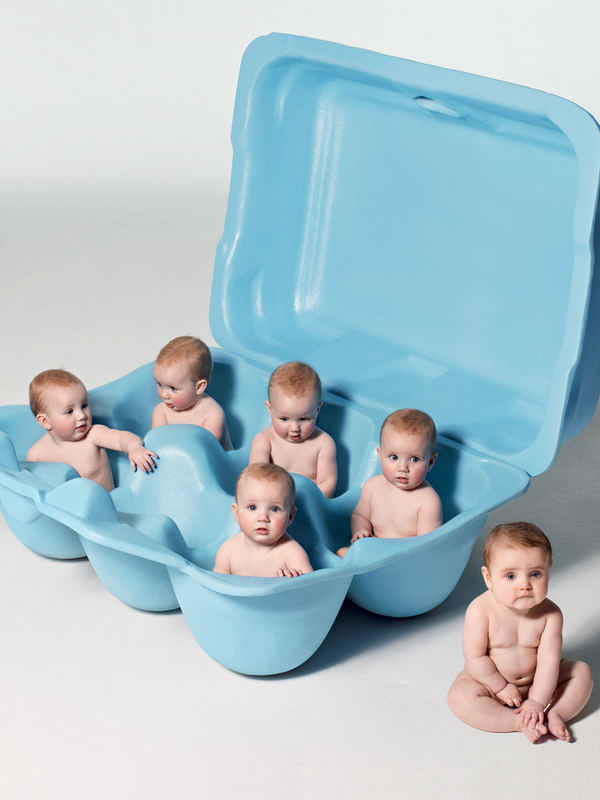 The hospitals could also provide free storage for the eggs. Medicine was late to the game when it came to including women in the profession. Being a pioneer in offering compensation for egg freezing is one way to continue rectifying this imbalance and to begin to become a leader in workplace equality and innovation, rather than lagging behind. A republished piece in JAMA discussing women’s growing role as physicians during World War I states “…women physicians may undoubtedly look forward in the end to a fair field…It will be interesting to see what use they make of their enlarged opportunities.” The same edict applies here: women are poised to be equal contributors to the medical field as long as we are given the opportunity to plan for a family on our own time and not on our own dime. Kristen Kelly is a medical student in the Sidney Kimmel Medical College Class of 2018.